Our old mailbox was in bad shape and needed to be replaced. HUBBY is known for his creativity and thinking outside the box. When I told him I'd like a cute Texas Flag mailbox, he dove right into the water for this project. 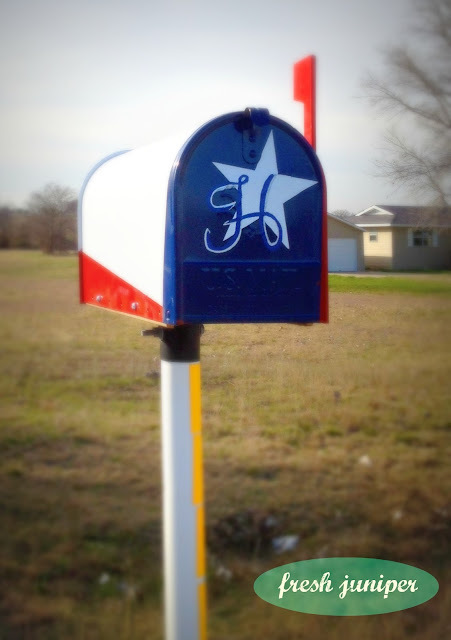 There are lots of Texas flag mailboxes out there, but not like ours. HUBBY has created a unique, abstract design. I love it! The new mailbox came from Home Depot. It is a Gibraltar Elite Large Steel mailbox. It takes a bit of expertise to paint over the black, particularly when there is a large area of white to paint over the black. HUBBY is quite the expert painter, too. He is a professional painter. Lucky me, right? Actually, PUMPKIN is working on this project too. She did the lettering, and she will be adding a bluebonnet or two on the mailbox door soon. 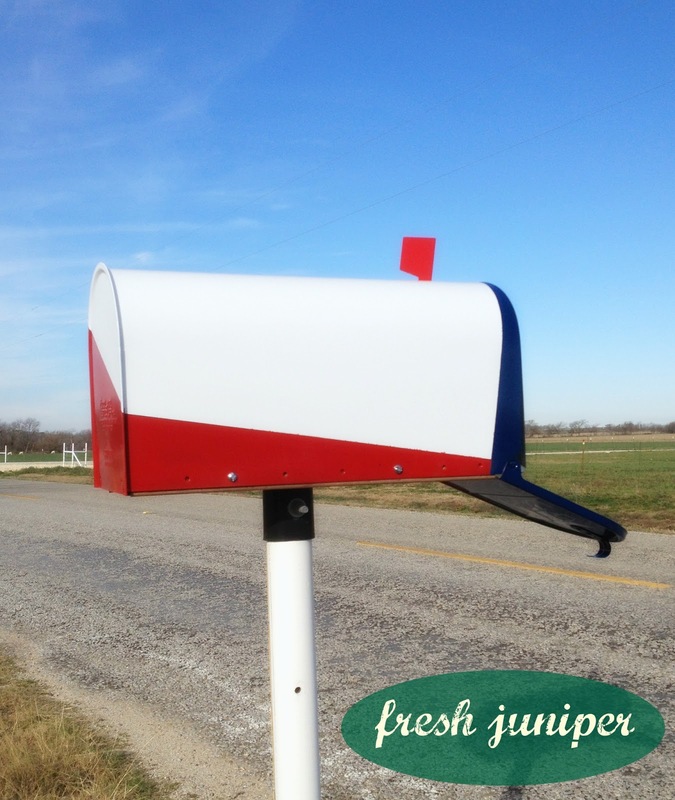 My new mailbox is beautiful. I love it! The fact that HUBBY and PUMPKIN are working together to create it makes me so happy. 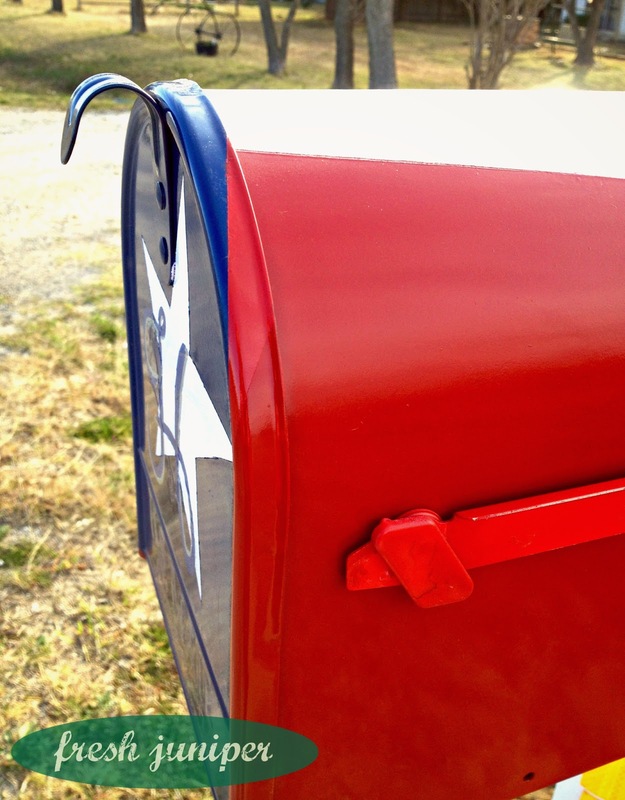 Thanks for letting me share our new Abstract Texas Flag Mailbox with you. God bless you, and God bless Texas! It is pretty cool . Lovely mailbox ! 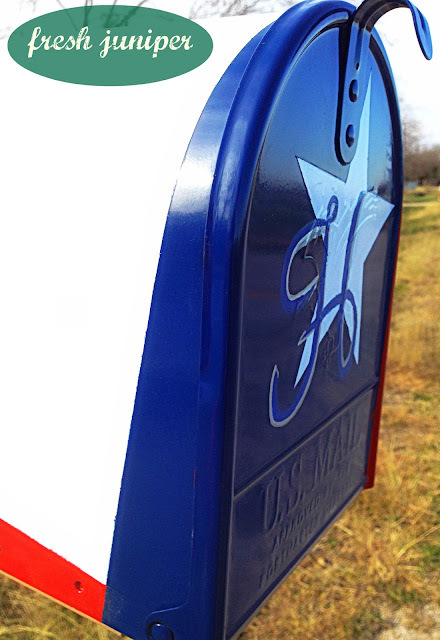 The american mailbox are unique !